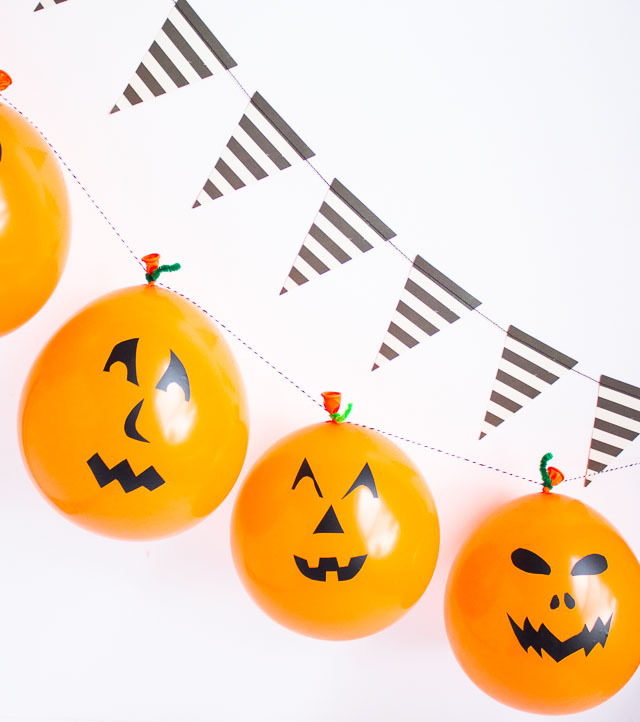 Did you know Halloween is Martha Stewart’s favorite holiday? 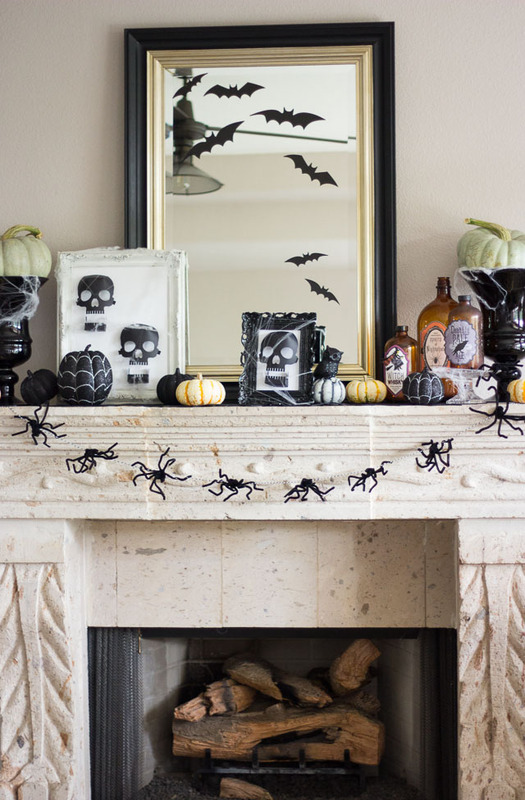 That’s probably why her Halloween decor is always some of the coolest at the store. 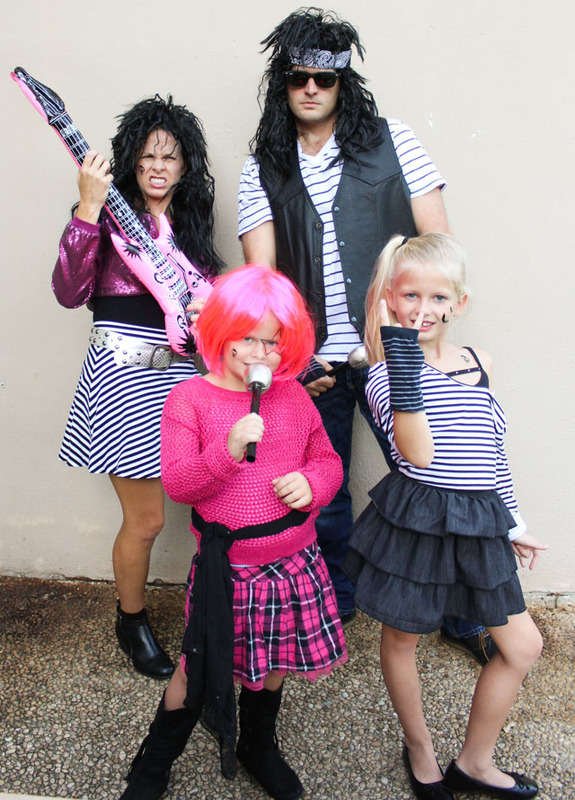 I knew there would be some good stuff in my October 12 Months of Martha box, and it did not disappoint! 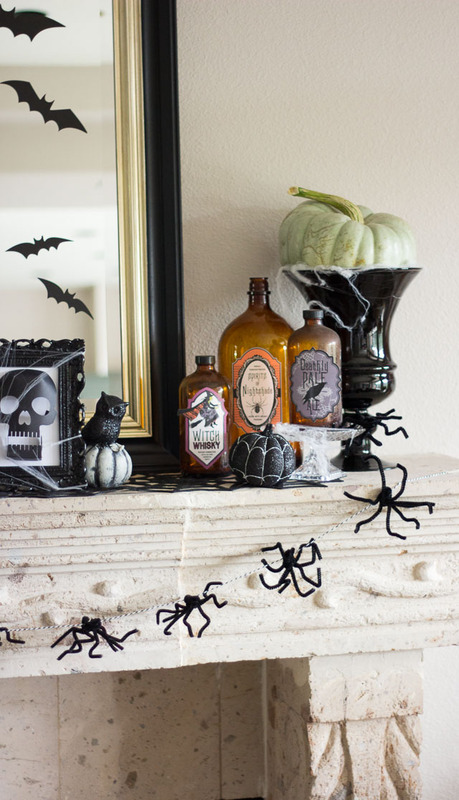 I decided decorate my mantel in honor of Martha – incorporating the spooky bats, skulls, and gothic labels that came in my box. 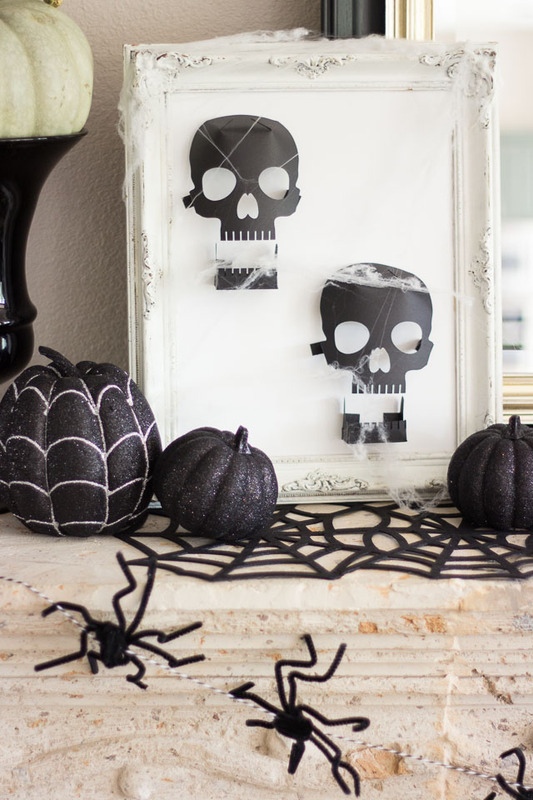 I tend to lean toward cutesy vs. scary decor when it comes to Halloween decorations, but these awesome 3D skull silhouettes inspired me to go a little spookier this year. I framed the paper skulls in some frames I already had, removing the glass and sticking them to a piece of white foam core (card stock would also work). A little spider web stretched across the frame adds a finishing touch. 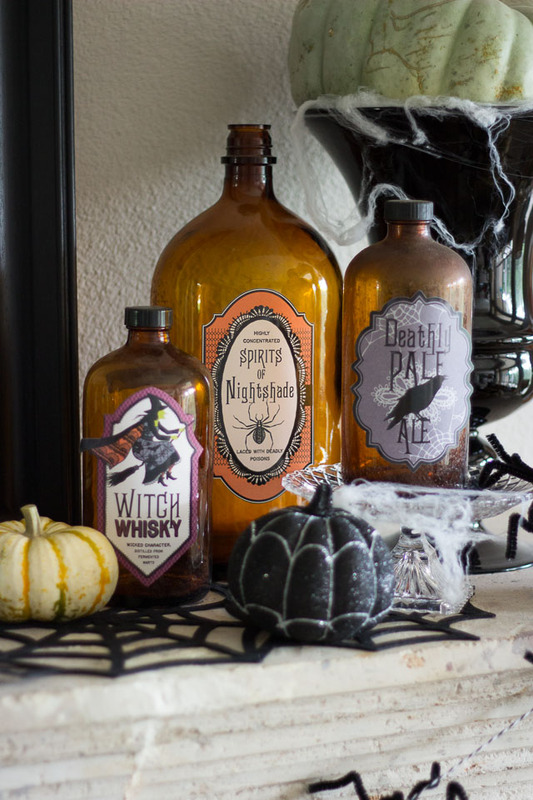 I borrowed these vintage laboratory bottles from Ross’s man cave and gave them a Halloween twist with the Martha Stewart labels. 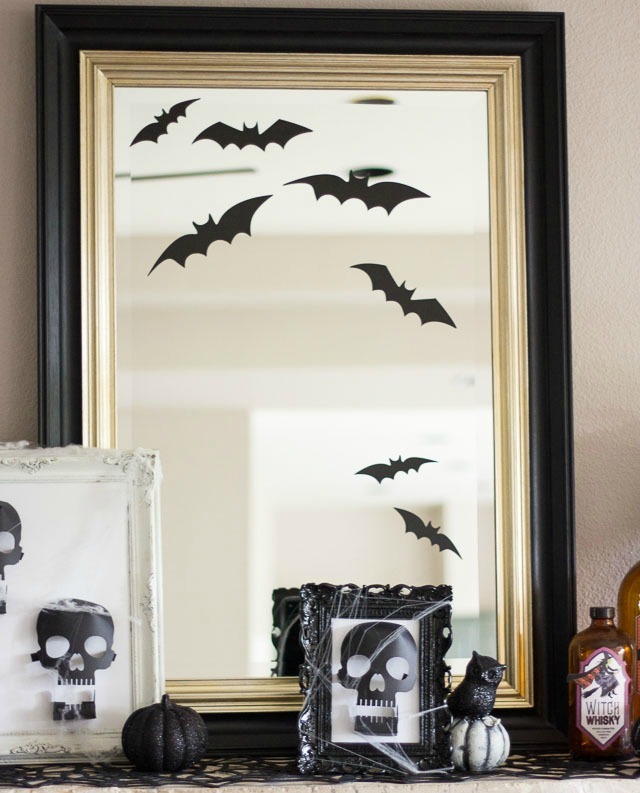 Another 5 minute makeover was adding the bat window clings to the big mirror. 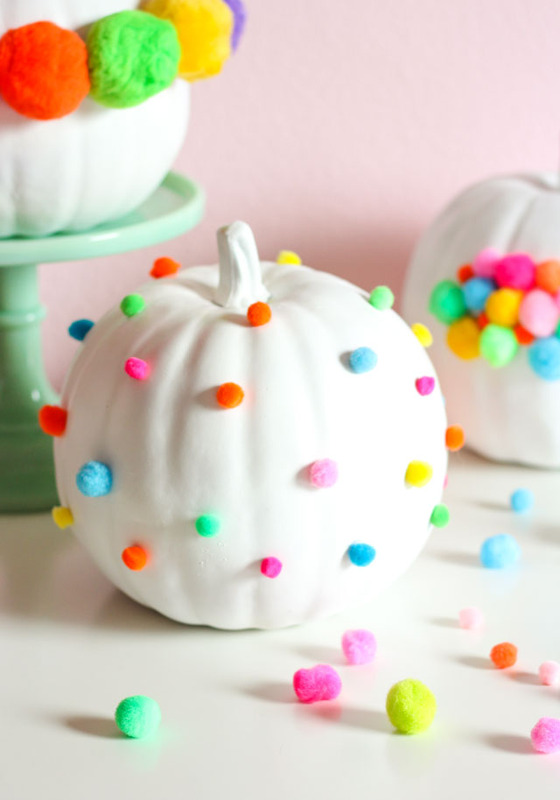 I love this simple idea that anyone can do! While the labels are peel and stick, I left their backing on and instead used removable double sided tape so they could be easily be removed after Halloween (and avoid upsetting the hubby!). 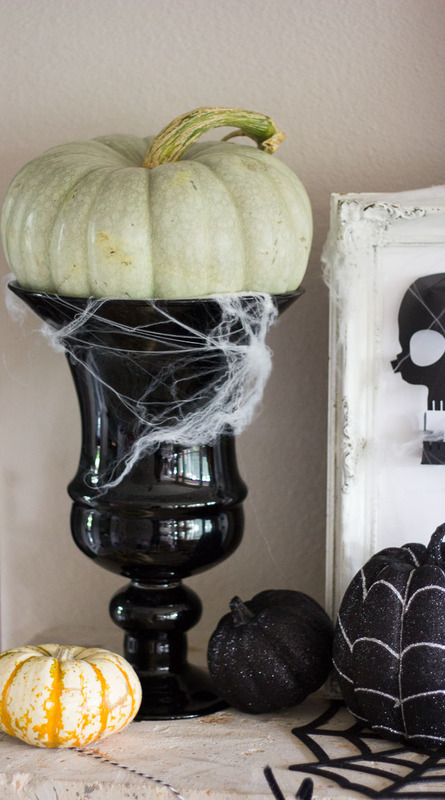 I replaced the usual greenery in the black urns I keep on the mantel with a “blue pumpkin” and some faux spider web. 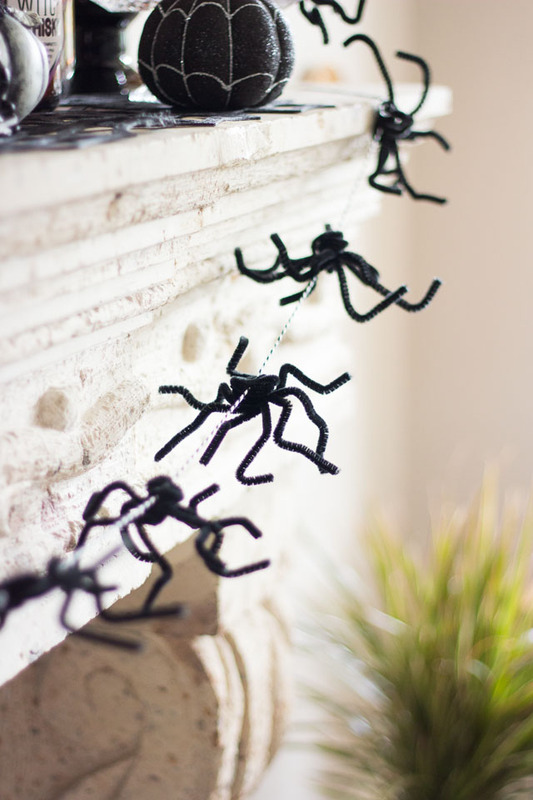 To finish off the display I mixed in a bunch of little pumpkins and draped my creepy crawly spider garland across the front. 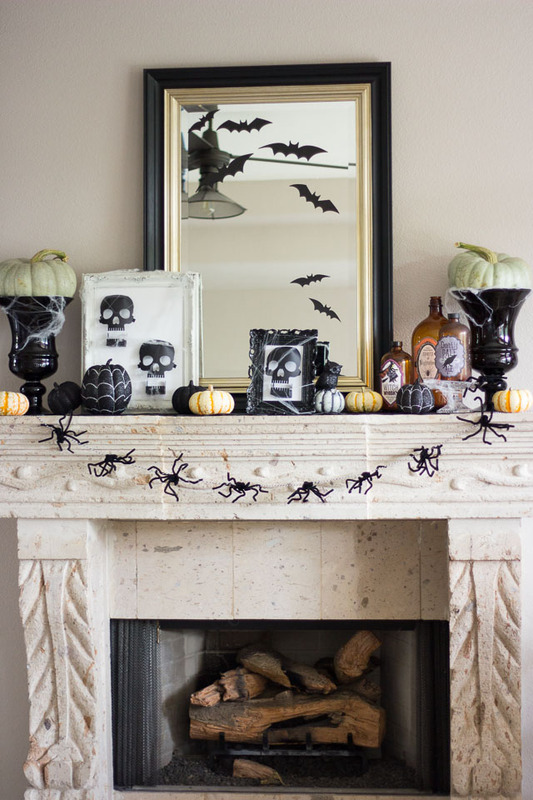 Thank you Martha for inspiring me to come up with a fun mantel this Halloween!